Pietro Bembo, O.S.I.H. (20 May 1470 – either 11 January or 18 January, 1547) was an Italian scholar, poet, literary theorist, member of the Knights Hospitaller and a cardinal. He was an influential figure in the development of the Italian language, specifically Tuscan, as a literary medium, codifying the language for standard modern usage. His writings assisted in the 16th-century revival of interest in the works of Petrarch. Bembo's ideas were also decisive in the formation of the most important secular musical form of the 16th century, the madrigal. The typeface Bembo is named after him. Bembo was born in Venice to an aristocratic family. His father, Bernardo Bembo, cared deeply for the literature of the Italian people, erecting a monument to Dante in his hometown of Ravenna. The father also served as an ambassador for the Republic of Venice, and while still a boy Pietro accompanied him on many of his travels. One of the places he visited was Florence, there acquiring a love for the Tuscan language, a love which was to prove so important in literary and musical history. He studied Greek for two years under the Neoplatonic Greek scholar Constantine Lascaris at Messina, and afterwards went to the University of Padua. Further travels included two years (1497–1499) spent at the Este court in Ferrara, under the reign of Ercole I d'Este, then a significant literary and musical center. While there he met Ariosto and commenced writing his first work, Gli Asolani, a dialogue on the subject of courtly love. The poems in this book were reminiscent of Boccaccio and Petrarch, and were widely set to music in the 16th century. Bembo himself preferred his poetry to be performed by a female singer accompanied by a lute, a wish which was granted to him when he met Isabella d'Este in 1505 and sent her a copy of his book. In 1502 and 1503 he was again in Ferrara, and had a love affair with the notorious Lucrezia Borgia, who was the wife of Alfonso d'Este, son of Ercole I d'Este and his immediate successor in 1505. He left around the time of Josquin des Prez's hire by Ercole I d'Este as composer to the chapel, and in time to avoid the plague which decimated the city in 1505, claiming the life of renowned composer Jacob Obrecht. Between 1506 and 1512 he lived in Urbino, and it was here that Bembo began to write his most influential work, a prose treatise on writing poetry in the vernacular, Prose della volgar lingua, published only in 1525. Bembo accompanied Giulio de' Medici to Rome, where he was soon after appointed Latin secretary to Pope Leo X. In 1514 he became a member of the Knights Hospitaller, now known as the Knights of Malta. On the pontiff's death in 1521 he retired, with impaired health, to Padua and there lived for a number of years, during which he continued to write, and in 1525 finally published his famous work. In 1530 he accepted the office of official historian of the Republic of Venice, his homeland, and shortly afterwards was also appointed librarian of St Mark's Basilica. On 20 December 1538 Pope Paul III named him a cardinal in pectore and Bembo returned to Rome. The following year he received Holy Orders as a priest of the Order. After this step his nomination as cardinal was published and he received the red hat in a Consistory held on 10 March 1539, with title as Cardinal Deacon of the Church of San Ciriaco alle Terme Diocleziane (a title soon transferred to the Church of Santi Quirico e Giulitta). He was advanced to the rank of Cardinal Priest in February 1542, with title to the Church of San Crisogono, changed two years later to that of the Basilica of San Clemente. While in Rome Bembo continued to write and revise his earlier work, in addition to studying theology and classical history. He received as a reward for his achievements the administration of the dioceses of Gubbio and Bergamo, though it seems that the Church never named him a bishop. He died in Rome in his 77th year and was buried in the Church of Santa Maria sopra Minerva, near his papal patron. As a writer, Bembo attempted to restore some of the legendary "affect" that ancient Greek had on its hearers, but in Tuscan instead. He held as his model, and as the highest example of poetic expression ever achieved in Italian, the work of Petrarch and Boccaccio, two 14th century writers he assisted in bringing back into fashion. In the Prose della volgar lingua, Bembo set Petrarch up as the perfect model, and discussed verse composition in detail, including rhyme, stress, the sounds of words, balance and variety. In Bembo's theory, the specific placement of words in a poem, with strict attention to their consonants and vowels, their rhythm, their position within lines long and short, could produce emotions ranging from sweetness and grace to gravity and grief in a listener. This work was of decisive importance in the development of the Italian madrigal, the most famous secular musical form of the 16th century, as it was these poems, carefully constructed (or, in the case of Petrarch, analyzed) according to Bembo's ideas, that were to be the primary texts for the music. His edition of Petrarch's Italian Poems, published by Aldus in 1501, and the Terzerime, which Aldus published in 1502, were also influential. Printer and composer Andrea Antico, active in Rome, was also influenced by Bembo; the early composers of the Venetian School, such as Adrian Willaert, helped to spread his theories among composers during that period of quick change. Willaert's collection of madrigals, Musica nova, show a close connection with Bembo's ideas. In his clerical vocation as cardinal Bembo is credited with reaffirming and promoting the Christian perfection of classical humanism. Deriving all from love (or the lack thereof) his schemas were added as supplements in the newly invented technology of printing by Aldus Manutius in his editions of Dante's Divine Comedy dating from early in the 16th century. 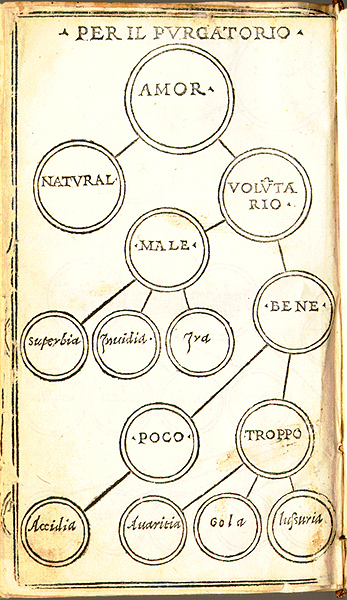 His refutation of the pervasive puritanical tendency to a profane dualistic gnosticism is elaborated in the redemptive third book of his prose text Gli Asolani reconciling fallen human nature in a Platonic cosmic transcendence, mediated by a reconciling Trinitarian love, and dedicated to Lucrezia Borgia. A similar framing structure was used by Karol Wojtyla in his 3-act play The Jeweller's Shop illustrating his phenomenological personalism derived from humanism's insights found in the natural law. The typeface Bembo is named after him. The list of his most important works is: Rime (1530); Gli Asolani (1505); Historia Veneta (1551); Prose della volgar lingua (1525); Carmina [Carmina Quinque Illustrium Poetarum] (1533); Epistolae. Pietro Bembo, "Oratio pro litteris graecis", 2003. Edited with English translation by Nigel G. Wilson. This entry incorporates public domain text originally from the 1911 Encyclopædia Britannica. The character Pietro Cardinal Bembo also features prominently in Baldassare Castiglione's work The Book of the Courtier where he speaks about the nature of "Platonic" love. Chisholm, Hugh, ed. (1911). "Bembo, Pietro" . Encyclopædia Britannica. 3 (11th ed.). Cambridge University Press. Burke, Edmund (1907). "Pietro Bembo" . In Herbermann, Charles. Catholic Encyclopedia. 2. New York: Robert Appleton Company. ^ Bonazzi, Francesco (1897). Elenco dei Cavalieri del S.M. Ordine di S. Giovanni di Gerusalemme, 1136-1713 (in Italian). Naples: Libreria Detken & Rocholl. p. 37. ^ University of Mannheim "Italian Authors"
^ Encyclopædia Britannica, "Pietro Bembo." 1911. ^ Grafton, Anthony (13 September 2018). ""Locum, Lacum, Lucum"". London Review of Books. 40.17: 10.